Registration is now closed for 2018-2019. Please let us know if you’d like to be contacted about our 2019-2020 program when more information becomes available. Registration for LP Online™ is rolling and always open. Hosted by our affiliate-partner, Down Syndrome Foundation, (Orange County, CA). LP Online™ is an online learning community that complements our onsite Learning Program™ sessions. Please see below for more about LP Online™. 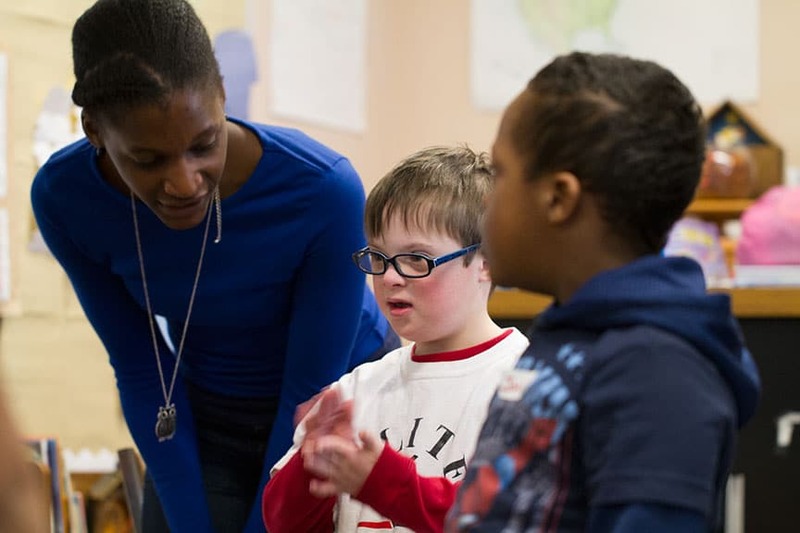 The Learning Program Boston (LPB) is an educational program committed to helping students with Down syndrome succeed. An affiliate-partner of the Learning Program™, a nationally-recognized model for parent-focused intervention developed by the Down Syndrome Foundation (Orange County, CA) this program is grounded on evidence-based approaches to teaching students with Down syndrome established by world-recognized leaders in cognitive research. 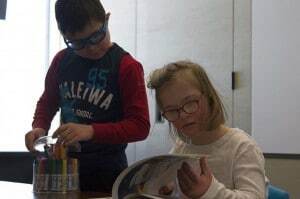 Our program serves as a platform for sharing instructional strategies, resources and activities to improve academic outcomes for students with Down syndrome, equipping families with the knowledge and tools to work effectively at home and at school. For the upcoming 2018-2019 academic year, we will be offering programs for families with children and youth between the ages 4 to 15. We utilize a three-pronged approach to teach, mentor and coach, and our programs consist of a mix of parent-only and parent-student learning sessions. Teaching: Academic Workshops for parents and caregivers feature developmentally appropriate instructional topics that build upon each other sequentially. Mentoring: WrapAround Workshops help parents and caregivers create a positive educational environment at home and develop a collaborative working relationship with their school team. Coaching: parent-student coaching sessions provide hands-on instructional modeling to help parents & caregivers work directly with their student. These include Curriculum Days, focusing on academic activities and Adventure Days, designed to support the development of certain skills in community settings. Our Elementary Program is for families of students is Grades K-5 and our Middle School Program is for families of students in Grades 6-8. Elementary Program Academic Workshops are leveled workshops comprised of Levels 1 to 4 and are focused on developing foundational learning skills in reading, writing and math. Parents and caregivers attend monthly adult-only classes on a Saturday morning from September to June. Coupled on the same morning are our Wraparound workshops. Elementary families also attend Curriculum Days and Adventure Days for hands-on coaching with their student. Curriculum Days are academically focused while Adventure Days apply these skills within community settings. Middle School Program Our Wraparound Workshops form the core of this program and parents and caregivers attend monthly adult-only classes on a Saturday morning from September to June. Parents and caregivers are also encouraged to drop-in on any Level 1-4 Academic Workshop or Curriculum Day for a “refresher” as needed. Middle School families also attend Adventure Days with their student. These are structured events, held at different locations within the community and are designed to help parents support their young adult in the development of pre-identified skills for independent living, self-regulation and self-advocacy. For more information about any of our classes, please contact us. Note that we have a limited number of seats in our program and have waitlists for all our classes. If you’d like to be added to our waitlist, please email us and include your contact information so we know the best way to get in touch with you. We will let you know when we have an opening for your family. For families in our program seeking additional assistance, we offer individual or small group tutoring based on the guiding principles of the program. 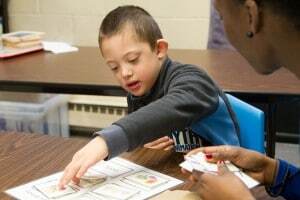 We also work with special education parent-groups to share instructional strategies and best practices for instructing and including students with Down syndrome. For more information about tutoring and additional support for families, please contact us. For families unable to attend our classes in Boston, please check here to find a Learning Program in your area. We currently have affiliate partners in over 20 locations nationally. 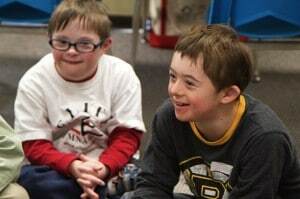 LP Online™ is an online educational community, hosted by our affiliate partner, the Down Syndrome Foundation (Orange County, CA) that utilizes webinars to replicate the parent workshop portion of our face-to-face onsite program. Participants join live workshop sessions in real time or can access recorded sessions later at their convenience. LP Online™ extends the Learning Program to families who do not have an affiliate partner in close geographic proximity and/or who are unable to enroll in their local Learning Program due to conflicts or extended wait lists. 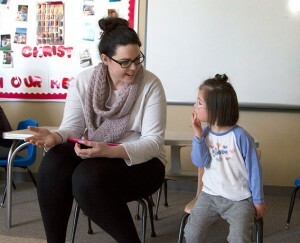 LP Online™ serves families from all around the world, and provides an opportunity for participants to engage with an extended Down syndrome community on educational best practices. Interested in purchasing books and materials? Order Learning Program books & materials here. "I have learned more about teaching techniques and my child's academic strengths and educational challenges from the Learning Program than any other resource out there." "The Learning Program has helped my daughter achieve far more academic success that we deemed possible." "The Learning Program is the resource that has most heavily influenced my family hands down." "We feel so grateful that our family has access to this amazing program that is the Learning Program."